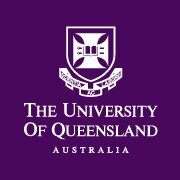 The University of Queensland is a public university located in the state of Queensland, Australia. Founded in 1909, it is the oldest and largest university in Queensland and the fifth oldest in Australia. 7th May, 2019 No reviews yet. Low Emission Technologies and Supply Systems via edX 10-12 hours a week , 12 weeks long 10-12 hours a week , 12 weeks long 7th May, 2019 No reviews yet. Energy and Development via edX 10-12 hours a week , 12 weeks long 10-12 hours a week , 12 weeks long 7th May, 2019 No reviews yet. Climate Science and Policy via edX 10-12 hours a week , 12 weeks long 10-12 hours a week , 12 weeks long 7th May, 2019 No reviews yet. Energy Principles and Renewable Energy via edX 10-12 hours a week , 12 weeks long 10-12 hours a week , 12 weeks long 7th May, 2019 No reviews yet. Leading High-Performing Teams via edX 8-10 hours a week , 10 weeks long 8-10 hours a week , 10 weeks long Self paced No reviews yet. Becoming an Effective Leader via edX 8-10 hours a week , 10 weeks long 8-10 hours a week , 10 weeks long Self paced No reviews yet. Leading the Organization via edX 8-10 hours a week , 10 weeks long 8-10 hours a week , 10 weeks long Self paced No reviews yet. Leading in a Complex Environment via edX 8-10 hours a week , 10 weeks long 8-10 hours a week , 10 weeks long Self paced No reviews yet. Understanding the Australian Health Care System via edX 1-2 hours a week , 9 weeks long 1-2 hours a week , 9 weeks long Self paced No reviews yet. Tourism and Travel Management via edX 2-3 hours a week , 7 weeks long 2-3 hours a week , 7 weeks long Self paced No reviews yet. Business Leadership Capstone Assessment via edX 2-4 hours a week , 3 weeks long 2-4 hours a week , 3 weeks long Self paced No reviews yet. Design Thinking and Creativity for Innovation via edX 8-10 hours a week , 10 weeks long 8-10 hours a week , 10 weeks long 25th Jun, 2019 No reviews yet. 16th Jul, 2019 No reviews yet. 3rd Sep, 2019 No reviews yet. 8th Apr, 2015 No reviews yet.